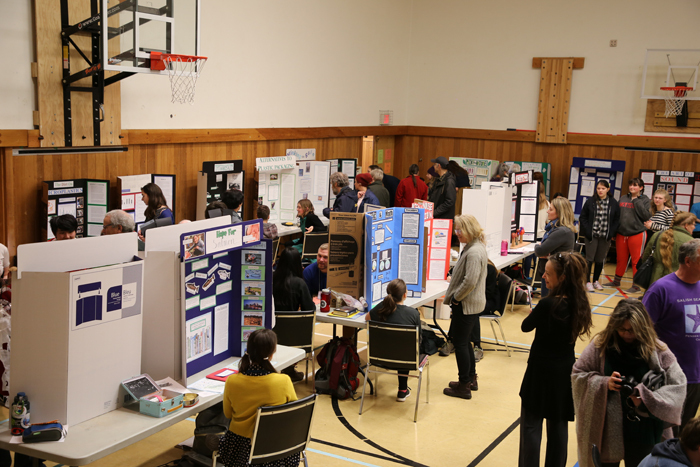 Visitors check out the exhibits at the 2019 Pender Islands School science fair, held at the school gym on Wednesday, March 13. 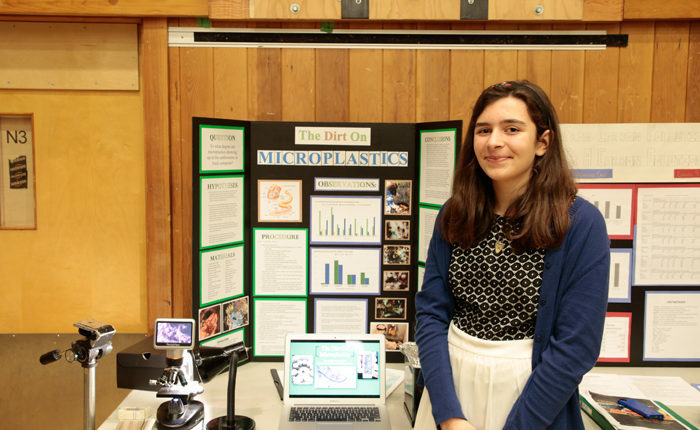 Lauren Ohnona, who went to the national science fair finals last year for her work on microplastics, shares her latest research. 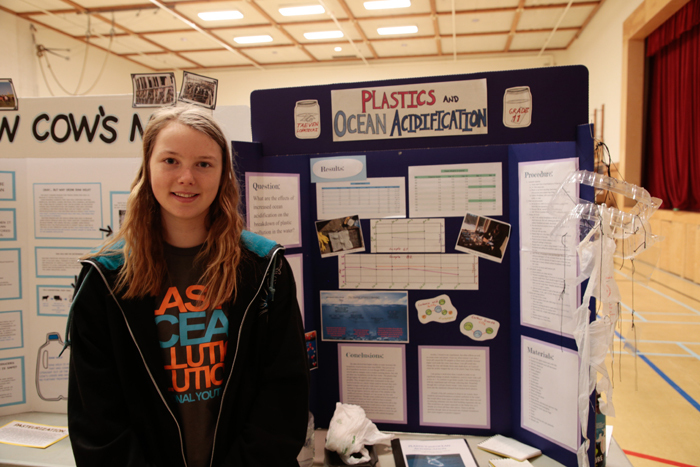 Taeven Lopatecki shares her research into ocean acidification. The gym at Pender Islands School was packed last Wednesday afternoon, as students, teachers, and community members checked out the latest innovations and offerings from a batch of young scientists. 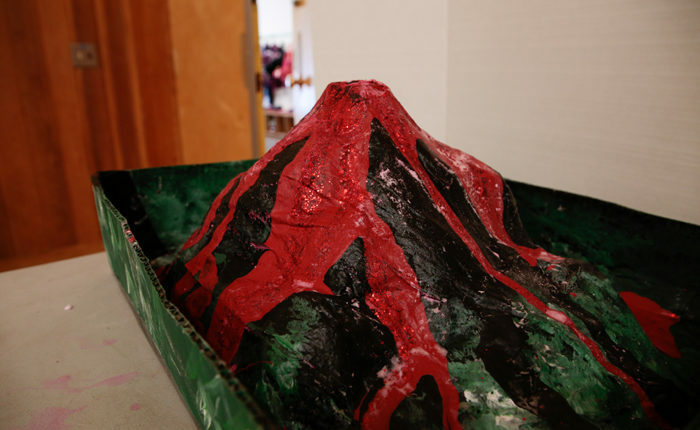 Thirty-two judges from the community and 16 student judges evaluated the Pender Island Science Fair projects, which ranged from a papier-mâché volcano to a look at how to remove excess oil from soil using different kinds of fungus. 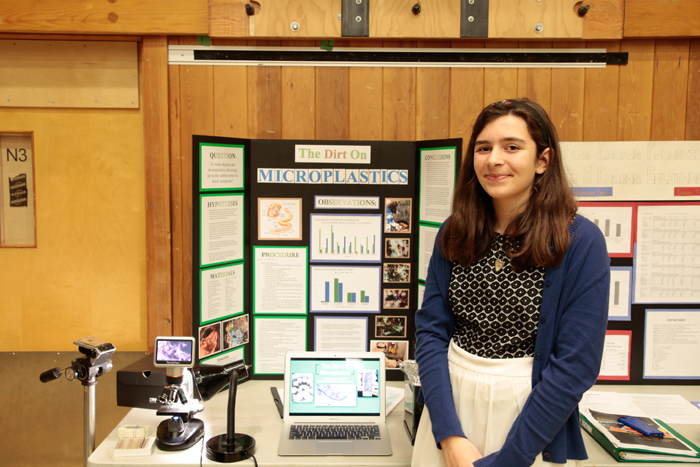 Fifteen of the students will be attending the regional science fair in Victoria, and Dunsmuir hopes some would have the potential to reach the national stage. Last year, the school won 18 awards at regionals and was able to send Grade 8 student Lauren Ohnona to the national finals. 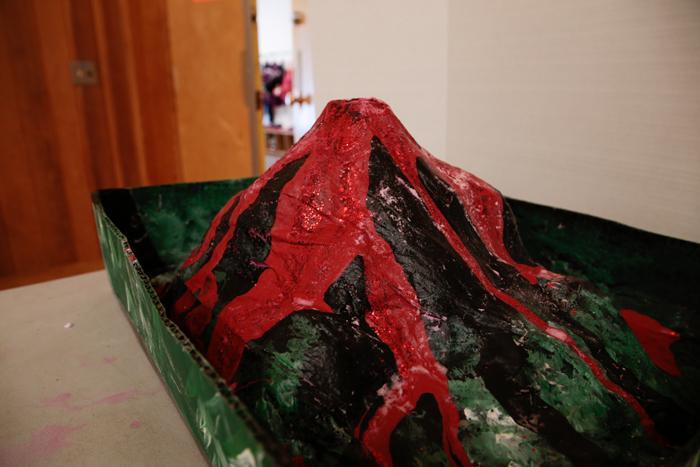 This year, Dunsmuir would like to see a couple of students attend the national competition. 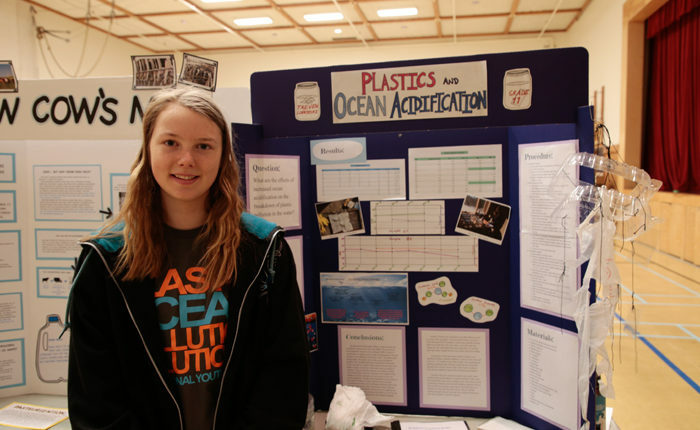 Science fair projects included a look at microplastics in earthworms, a study of how different kinds of mud can transmit electricity, and what kinds of recycled materials make the best disc golf discs. This year, Dunsmuir wanted to get more of the community involved. The school invited 50 per cent more community judges this year than in the past. Projects were judged over three rounds by the designated judges. A fourth round of judging was held by the general public to help break ties. The top three winning scientists from five divisions will advance to the regional finals in Victoria. Students were divided into age groups: primary, elementary, intermediate, junior and senior. The regional finals will be held at the University of Victoria on April 7 and 8.